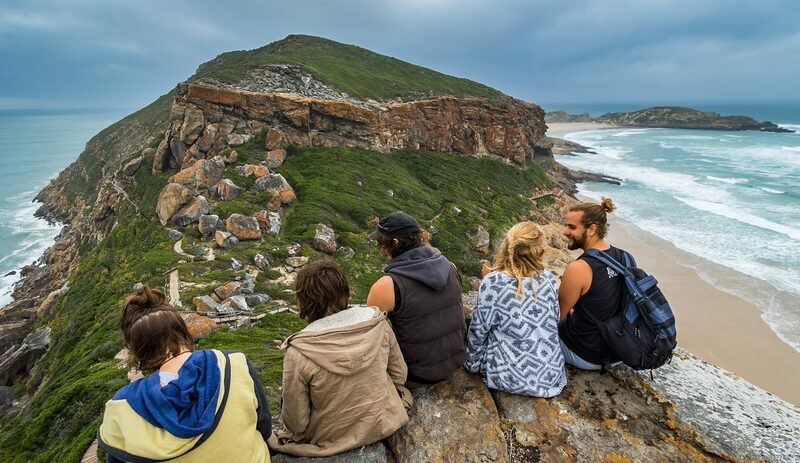 There are few ecosystems in which the rejuvenating powers of veld fires are better displayed than the Cape’s fynbos. 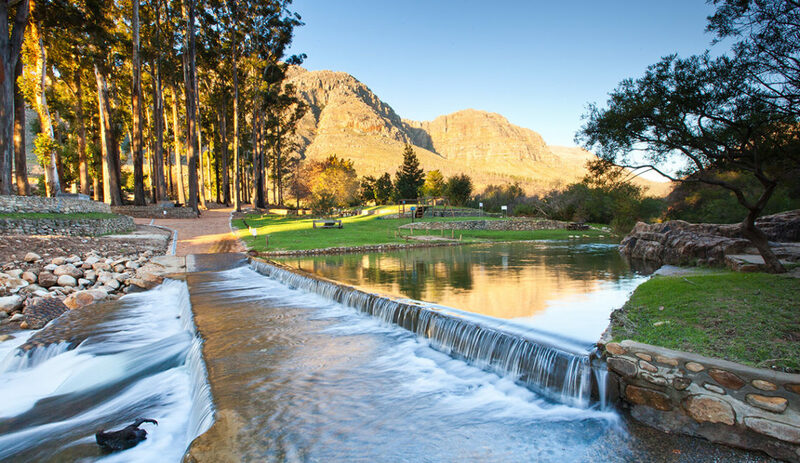 Rupert Koopman, a botanist with CapeNature, is almost blasé about the chances of rediscovering flower species long thought to be extinct, or even finding completely new ones, when exploring freshly burned patches of ground. 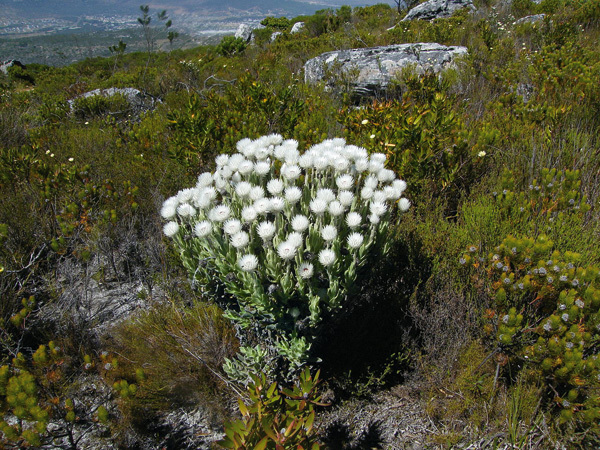 Back in Cape Town, he showed them to fellow botanist John Manning, who was amazed. Rupert had discovered a brand new species. 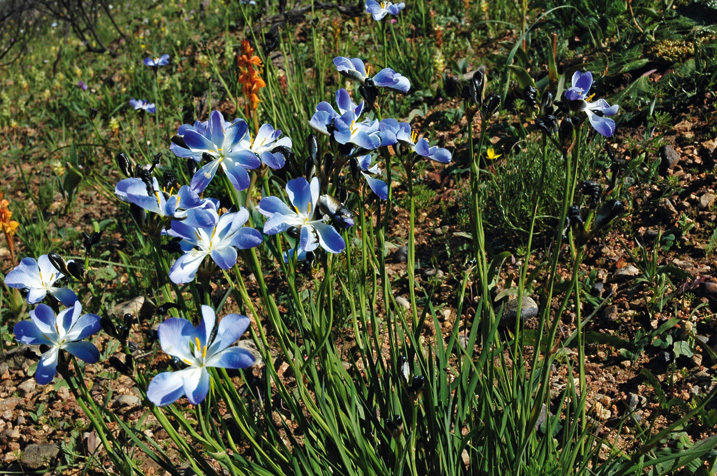 Subsequently named and described by Manning and Peter Goldblatt, the endangered Aristea nigrescens is now known from just three sites in a 49 square kilometre area. It flowers only after a fire and is threatened by invading alien plants, habitat loss and too-infrequent fires. “There are many similar stories,” says Koopman. 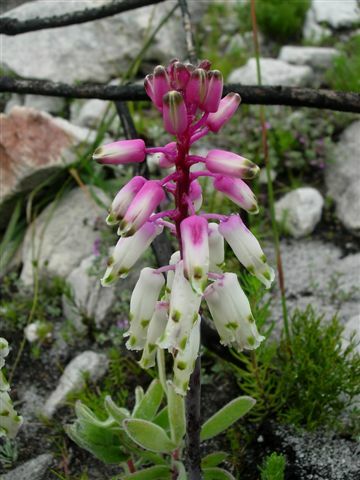 The gorgeous Lachenalia sargeantii, for instance, was discovered in 1970 and not seen again until it suddenly popped up all over the Bredasdorp Mountain in the Southern Cape after a massive blaze a couple of years ago. 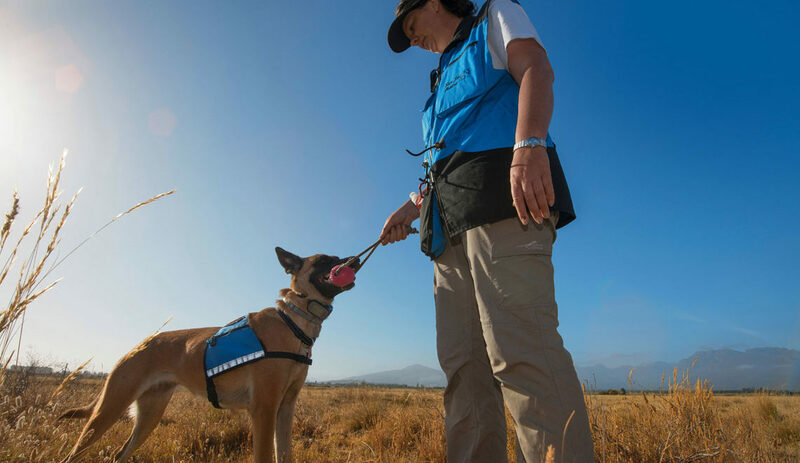 “You never really know what to expect after a fire in the fynbos,” he explains. 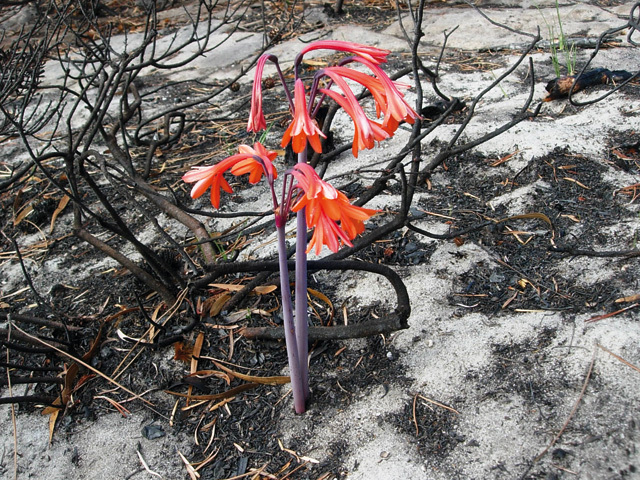 The fire lily (Cyrtanthus ventricosus) is extremely difficult to get to germinate in cultivation, yet will flower within days of a fire in the wild regardless of the season. 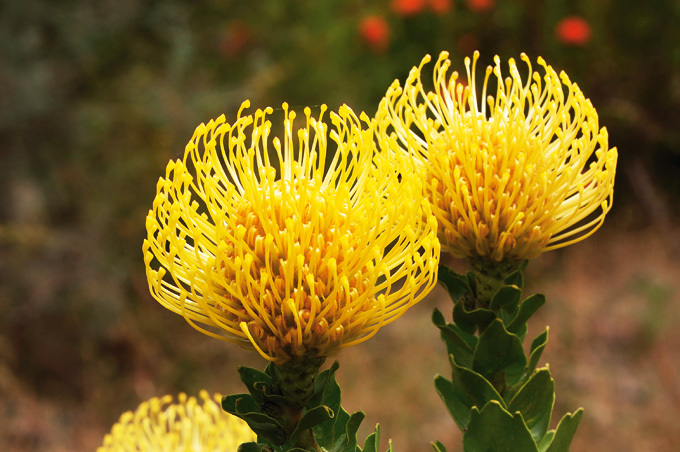 The tree pincushion (Leucospermum conocarpodendron) grows to a height of five metres and is protected by a thick, corky bark, allowing it to survive fires – provided the canopy isn’t completely burned. The seeds of the Cape everlasting (Syncarpha vestita) germinate when exposed to smoke from burned leaves and stems of the gonna bush Passerina vulgaris. 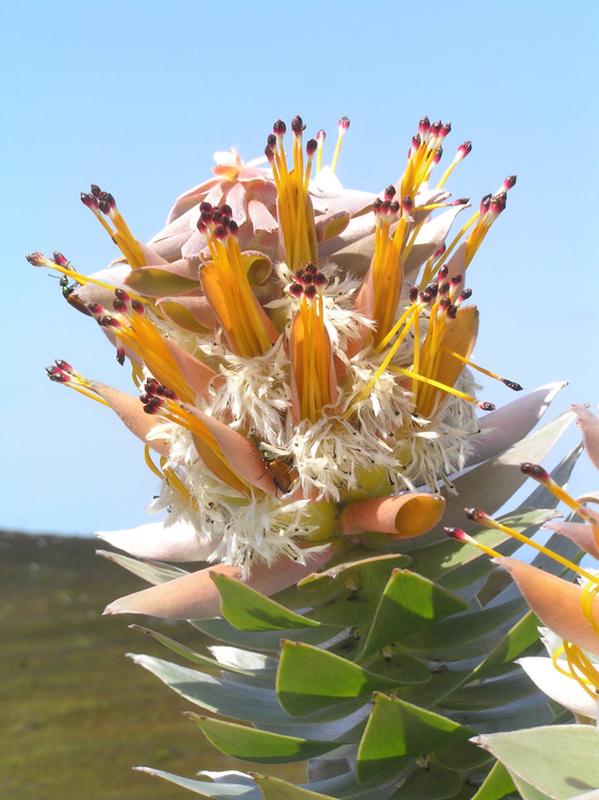 The mace pagoda (Mimetes stokoei), believed to be extinct since the 1960s, reappeared in 2001 when a major fire in the Kogelberg Nature Reserve created the right conditions for buried seeds to germinate after lying dormant for decades. This blog is a condensed version of the article “Bright sparks” that first appeared in Wild 25 summer 2013/2014.